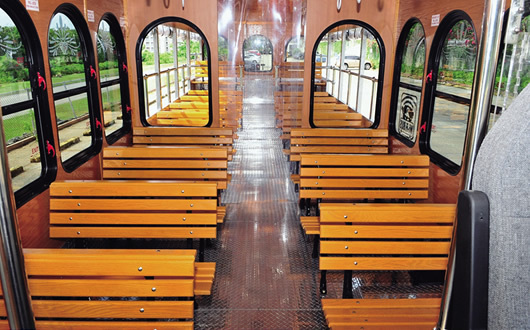 Most of our trolleys are open type vehicle with large windows so that you may enjoy warm breeze and take in the beautiful site of Tumon. 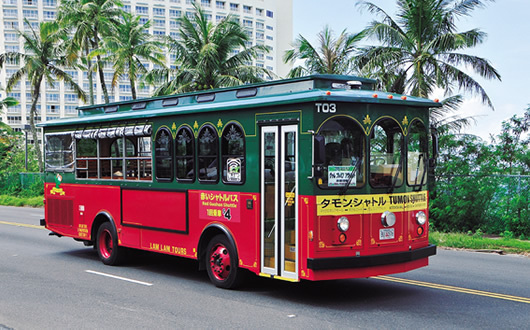 Verry popular amongst all shopping shuttle on island, dependable, reliable service, buy a one-way ticket and take a sightseeing tour of Tumon area. We also sell 2 or 5 day’s passes with Wifi connection; Wifi antenna installing throughout shuttle route.